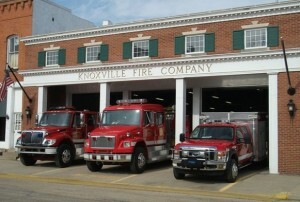 The Fire Protection District is separate from the Knoxville City Government. 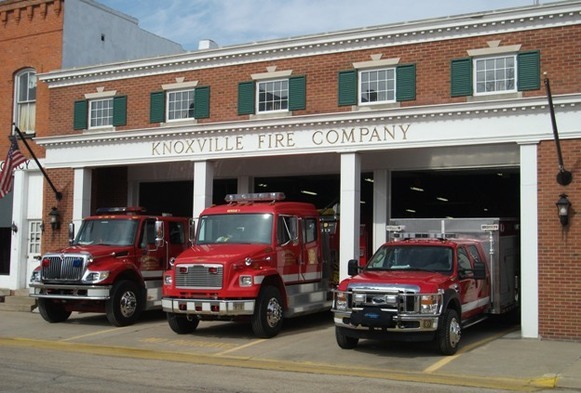 It includes territory beyond the City boundaries and includes more than one Fire Station.The Knoxville Fire Department Station is located on the north side of the public square. An interrupted pulse siren is a call to the firemen. A long continuous blast is a warning for tornadoes and storm alerts.